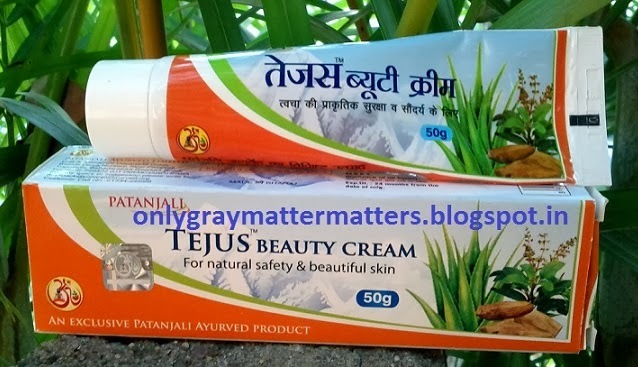 Baba Ramdev's brand Patanjali (Divya Pharmacy) offers two beauty creams under the name Tejus: Tejus Beauty Cream and Tejus Anti-Wrinkle Cream. I saw these first last year in May or June and immediately bought both along with many other products. Patanjali Tejus Beauty cream is an ayurvedic composition containing Aloe Vera, Sandal, Tulsi, Haldi and Manjeeshtha, which are all awesome ingredients for skin and being used in beauty recipes for ages. Availability: Available at Patanjali Centers (to locate the nearest one to you, check HERE). Can also be bought online within India and internationally from their online store (Check HERE). Also available at many other online stores (simply Google Search for it). Patanjali Tejus Beauty Cream is a shiny beige colored lightweight cream. If you have ever used Vicco Turmeric, the texture and fragrance are similar to that. It smells nice but the fragrance is not 100% natural. It contains perfume too. It feels smooth and silky to touch, but when you apply it, it feels dry and settles into a matte powdery finish. At normal temperature, it becomes dewy after a few minutes of applying, meaning, it feels nice and moisturizing without any hint of oiliness. But in extremely cold weather, it does not become dewy and hence does not feel moisturizing enough for dry skin. It adds an instant glow to the face without leaving any white cast. It does not enhance skin pores and gives a foundation-like finish to the face (with no color). This cream absorbs VERY FAST into the skin, like instantly. So if you take it out, rub in your palms and then apply, it won't work. Most of the cream will get absorbed and settle in the fine lines of your palms. The best way to apply it is just like a foundation. Apply a small amount in one area, spread immediately. Cover the rest of the face, ears, neck and hands this way. It spreads really well when used like this and does not feel heavy. The package simply says 'Ayurvedic proprietary medicine for natural safety and beautiful skin'. It does not make any tall claims and does what it says. It is indeed a general daily use cream. It makes your face looks glowing and beautiful overall, like a BB (blemish balm) cream, but don't expect any miracles out of it. 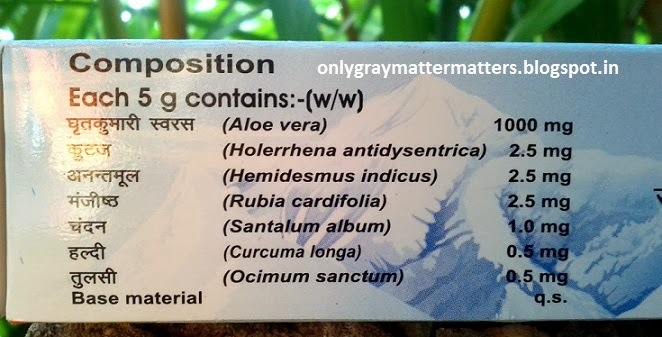 It is not 100% herbal but it is definitely a product with least chemicals. What amazes me is that Divya Pharmacy is 100% transparent about this product and the ingredients used in it. You can see the complete detail HERE. Base material of Patanjali Tejus Beauty Cream contains- Stearic Acid- (10-15), Cetyl Alcohol- (0.5-1.0), Wheat germ oil (0.5-10), EDTA (0.05-10), DC-200-(0.1-1.0), TIO2/ Mica- (0.1-1.0), KOH-(0.1-1.0). LLPO (2-15), Glycerin-(5-15), IPM- (1-3), Carbapol-(0.01-0.1), Soya peptide (0.5-1.0), Vit- A/Retanyl palmitate (0.05-0.5), A2 Plus (0.3-1.0), Rheam exodi root ext. (0.1-0.20) Javitri oil (0.05-0.1), Borax (0.1-0.5), Asphatik Bhasma (0.05-0.5), Perfume- Dove (0.5-1.0), Water-Q/S. Since it contains traces of Mica, it may irritate very sensitive skin in rare cases. It was May and on first application, this cream felt drying with a powdery finish. My dry skin didn't like it and so I instead started using the Tejus anti-wrinkle cream daily because that felt more moisturizing. But that has another story and I will review it separately. I tried Tejus Beauty Cream again in October and found that it works best for me when mixed with 2 drops of lavender essential oil. When I finished my lavender oil bottle, I started using this cream as such and it could not protect me against the cold anymore. The skin on my chin chapped and became painful. When used alone, this cream slightly burnt on chapped skin. I recently repurchased lavender essential oil a few days ago and again started mixing it in this cream. 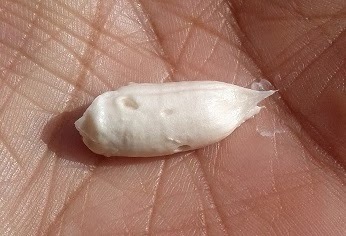 Within 2 applications the painful chapped skin healed. For dry skin, you can get a really soft beautiful finish with this cream by simply mixing 3 drops of Jojoba oil (approximately) and exactly 2 drops of lavender essential oil. In summers, you can skip Jojoba oil. It may sound stupid to some, but trust me, you will forget makeup if you use it this way. You can also turn this into a hand or foot cream by simply mixing it with some Jojoba or pure coconut oil and 2 drops of lavender/ peppermint or tea tree essential oil. The oils are meant to be used alone but using this cream as a base helps prevent oiliness. This tube lasted me quite long. I have not repurchased it as it didn't do any wonders for me. If you have used it, kindly share your thoughts and experiences in the comments. Hi Ray, glad that finally this post inclined you a little towards using Essential oils as I know you feel wary of using them on face :) Yes, the cream is nothing really great in itself except that it gives an instant glow. To be honest, I buy very few Patanjali products because even though they have been formulated with least chemicals, I still don't like the chemicals they use. For example, they use Urea as a preservative instead of Parabens. Urea counts as natural but then it releases Formaldehyde, a carcinogen and many renowned high-end brands are also using urea. From Biotique, I have just tried their hand and foot cream and the foot cream is still my favorite. I have reviewed both. Other than that, I had tried their Green Apple shampoo many years ago but it was drying. I want to try their honey neem soap free body wash though. Otherwise, I find Biotique to be way too costly. I am not sure Megha as to how will this one fare in summers because I didn't try in Summers for long. But I guess it should work for your oily skin in any season. 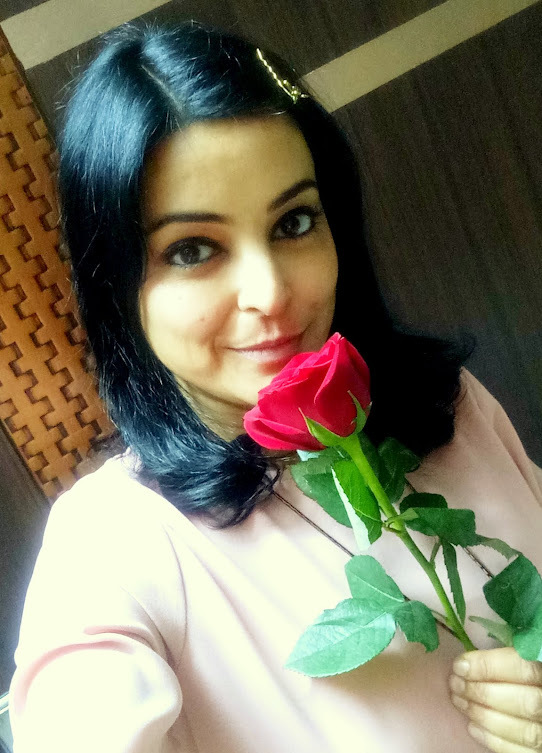 Dear Preity, thank you so much for encouraging and supporting me darling. I had tried their anti-wrinkle cream in Summers and liked it initially. But within a few days it enlarged my pores and started making me look horrible. It was QUITE rich for summers and all oily/rich products enhance pores when used in summers. I wanted to try it again now but I don't know where I have stored it away. For the present season, it should work good for you. I also have combination skin and I am yet to find the ideal product for face :) Have heard great things about Cetaphil lotion, but that is rich and apt to be used at night. I haven't tried that yet. If I come across any great product for combination skin, I will surely let you know. I have tried other products from them but I have not tried this one yet. Nice review. Thanks dear Subha. To be honest, this cream didn't do anything exceptional for me but still it surprises me when it gives an instant glow to the face. If you have ever used Fair and Lovely, it feels like that. It leaves dry skin feeling thirsty in winters, as if some moisturization is missing. But when it gets dewy in not so cold weather, it feels really nice. Yes it is inexpensive dear but if you have dry skin, then stay away from it as it is not at all nourishing for dry skin despite all the good ingredients. Hi, have you tried the aloe vera gel? is it good to use at night? Dear Mahua, yes i have the Aloe Vera gel too. It feels hydrating on my dry skinned face only for some time but I need more moisturization. So I don't use it for face. If you have oily or normal skin, you will find it very useful to use on the face. I use it for many other purposes though, like after-wax soothing gel, after-sun treatment, nail gel and also for hair. This is a much hyped cream. their oils are really good! gagan ! 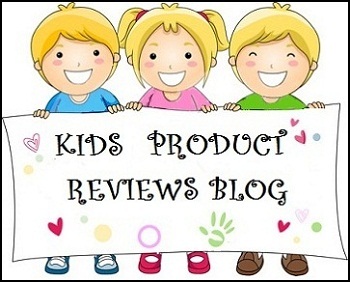 ur reviews are out of the world ... i simply go gaga over the details that u provide .... good job you do with each product ... i liked thsi cream a lot but the sad part is that am unable to find it in many patanjali stores ... can u let me know as to where to find it .... i am able to see bauty creams everywhere but no the tejus ones. Can we apply this cream at night before going to bed? can people with oily skin use this?i have dark spots will this cream cover them when i go out?